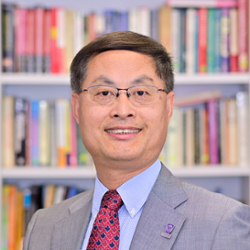 Professor Jun Li started his academic career in Shanghai in the early 1990s and taught as Deputy Director of the Education Policy Unit at the University of Hong Kong before he joins Western University, Canada. With two PhDs - one in educational history (ECNU, 1992) and another in International Education Policy (UMCP, 2006), he has wide professional experiences accumulated in a global context (Shanghai, Tokyo, Maryland, Toronto, Hong Kong, etc.). Having led as Chairman for the Hong Kong Educational Research Association (2014-17) and President for the Comparative Education Society of Hong Kong (2012-14), he currently serves as a CIES Planning Committee Member (2018-19) and WCCES Research Standing Committee Member (2017-19). Meanwhile, he serves as a founding editor of the CIES Book Series Education in Global Perspective (SUNY, US), a regional editor of Bloomsbury Education and Childhood Studies (Bloomsbury, UK) and an associate founding editor of Beijing International Review of Education (Brill, the Netherlands), in addition to his advisory role or editorship in various international journals/book series, such as Comparative Education Review (Chicago, US). Prof. Li is a renowned expert in the studies of education and China, focusing on policy, leadership and development in comparative and international education, higher education, teacher education, citizenship education and civil society, also in Chinese, Asian and African studies in education and culture. He has led many ear-marked research projects, such as “China-Africa University Partnerships in Education and Training” (GRF-RGC/HK SAR), “World-class Universities, Publication and Research Assessment: Rethinking the Mission of Higher Education in the Global Age” (RDF/WUN). Also, he has been active in large-scale, international research projects, such as UNESCO and World Bank’s System Assessment and Benchmarking for Education Results (SABER), UNESCO’s Lifelong Learning and Employability: Analytic Research of Eight Countries and Regions in Asia and the Pacific, the IEA International Civic and Citizenship Education Study (ICCS) China Pilot, and the OECD Program for International Student Assessment (PISA Hong Kong). Prof. Li has extensively published, with many academic books and over a hundred journal articles/book chapters in English, Chinese or Japanese, including his authored book Quest for World-Class Teacher Education? A Multiperspectival Study on the Chinese Model of Policy Implementation (Springer, 2016), co-authored book Portraits of 21st Century Chinese Universities: In the Move to Mass Higher Education (Springer/CERC, 2011), and co-edited books International Status Anxiety and Higher Education: Soviet Legacy in China and Russia (Springer/CERC, 2018) and The Global Research Assessment Movement and the Redirection of Knowledge Production: Rethinking the Mission of Higher Education in a Global Age (Palgrave Macmillan, in print). He is often invited for keynote speeches around the globe, as well as interviewed on education and/or China by The New York Times, The International Herald Tribune, The Global Times, China Daily, South China Morning Post, China Central Television (CCTV), and China Global Television Network (CGTN), etc. Prof. Li believes in a philosophy that humans are born close to one another but diverge through learning (The Analects of Confucius, 17.2). His “happy hour” is usually in the morning or evening with a pot of tea to discuss or write anything exploratory, creative, or even inconceivable. As a dedicated educator, researcher and father, he is always more than happy to share with you his learning about education. Co-I, Research on Graduate Education Management in an Era of Internet+, the Natural Science Foundation of China (Project No. : 71834001), $471,423CAD (RMB2450,000), China, 2019-23. Co-I, Research on the Evaluation System and Development Strategy of Constructing World-Class Universities and World-Class Disciplines, the Chinese Ministry of Education (Project No. : 16JZD044), $13,470CAD ($700,000RMB), China, 2017-20. PI, China-Africa University Partnerships in Education and Training: Students, Trainees, Teachers and Researchers, the Research Grants Committee General Research Fund (RGC/GRF, Ref. : 842912), US$122,861 (HK$952,706), Hong Kong, 2012-16. PI, World-class Universities, Publication and Research Assessment: Rethinking the Mission of Higher Education in the Global Age, the Research Development Fund of Worldwide Universities Networks (RDF/WUN, Ref. : 4930217), US$58,229 (£35,484), U.K., 2014-15. Co-I, Research on the Evaluation System and Development Strategy of Constructing World-Class Universities and World-Class Disciplines, the Chinese Ministry of Education (Project No. : 16JZD044), US$105,000 (RMB700,000), China, 2017-20. Co-I, Reforming the System and Mechanism for the Urban-Rural Educational Integration in China, the Chinese Ministry of Education (Project No. : 10JZD041), US$115,000 (RMB800,000), China, 2011-14. Co-I, China’s Move to Mass Higher Education: Implications for Civil Society and Global Cultural Dialogue, the Social Sciences and Humanities Research Council of Canada (SRG/SSHRC No. : 410-2006-0992), US$137,000 (CN$170,000), Canada, 2006-10. PI, Citizens and Civic Education for the 21st Century: A Sino-Japanese Comparative Study, the Japan Society for Promotion Science (JSPS), 2000-01. Co-I, OECD Programme for International Student Assessment in Hong Kong 2015 (PISA 2015 Hong Kong), US$1,756,965 (HK$13,620,496), the Hong Kong Educational Bureau, 2013-17. PI, Cultural Factors on Student Learning and Educational Outcomes (Sub-project of the Systems Approach for Better Education Results [SABER]), the World Bank & UNESCO Bangkok, US$5,000, 2012-12. PI, Hong Kong Pilot for Lifelong Learning and Employment Prospects/Employability, Singapore and Thailand), the UNESCO Bangkok, US$8,000, 2012-12. PI, Understanding Chinese Students’ Attitudes to Citizenship: Adapting the International Civic and Citizenship Education Study for Use in Mainland China (China Pilot of International Civic and Citizenship Studies 2009 (IEA),) the EdUHK Internal Research Grant, Hong Kong, 2011-12. Li, J. (2019, forthcoming). Autonomy and Chinese University 3.0: A Zhong-Yong model. Specially invited for The China Quarterly, Cambridge, UK. Li, J. (2019, forthcoming). A re-examination of the Opinion on the All-round Deepening of the Reform of Teaching Workforce in the New Times: A case study of the Ontario College of Teachers. Specially invited for Jiaoshi Jiaoyu Yanjiu ( Teacher Education Research), Beijing, China. Li, J. (2019, forthcoming). China’s humanistic Zhong-Yong approach of educational partnerships for international development: Confucius Institutes and Classrooms reflected from Ubuntu and Confucian perspectives. Bandung: Journal of the Global South. Li, J., & Li, J. (2019). Educational policy development in China in the 21 st century: A Multi-Flows Approach. Beijing International Review of Education, 1(1), 196-220. Li, J. (2017). Educational policy development in China for the 21 st century: Rationality and challenges in a globalizing age. Chinese Education & Society, 50(3), 133-141. Li, J. (2017). Ideologies, strategies and higher education development: A comparison of China’s university partnerships with the Soviet Union and Africa over space and time. Comparative Education, 53(2), 245-264. Li, J. (2016). The global ranking regime and the reconfiguration of higher education: Comparative case studies on research assessment exercises in China, Hong Kong and Japan. Higher Education Policy, 29(4), 473–493. Li, J., & Tian, X. H. (2016). A global experiment in the internationalization of Chinese universities: Models, experiences, policies, and prospects of the Confucius Institutes' first decade. Chinese Education & Society, 49(6), 411-424. Li, J. (2015). When Confucianism meets Ubuntu: Rediscovering justice, morality and practicality for education and development. International Journal of Comparative Education and Development, 17(1), 38-45. Kai, R., & Li, J. (2013). Academic freedom and institutional autonomy: A higher education policy perspective. Higher Education Policy, 26(4), 507–522. Li, J. (2013). China’s quest for world-class teachers: A rational model of national initiatives and institutional transformations. Asia Pacific Journal of Teacher Education, 41(3), 316–330. Li, J. (2012). The student experience in China’s revolutionary move to mass higher education: Institutional challenges and policy implications. Higher Education Policy, 25(4), 453-475. Li, J. (2012). World-class higher education and the emerging Chinese model of the university. Prospects: Quarterly Review of Comparative Education, 42(3), 319-339. Li, J. (2012). The Chinese model of teacher education: Retrospect and prospects over a century. Frontiers of Education in China, 7(3), 417– 442. Gong, F., & Li, J. (2010). Seeking excellence in the move to a mass system: Institutional responses of key Chinese comprehensive universities. Frontiers of Education in China, 5(4), 477-506. Hayhoe, R., & Li, J. (2010). The idea of a normal university in the 21st century. Frontiers of Education in China, 5(1), 74-103. Li, J. (2009). Fostering citizenship and civil society in China’s move to mass higher education: An analysis of students’ experiences. International Journal of Educational Development, 29(4), 382-398. Hayhoe, R., & Li, J. (2009). Historical comparison of international teacher education development (in Chinese). Educational Research [ Jiaoyu Yanjiu], 353(6), 54-62. Li, J. (2005). Student achievement in social studies in urban public schools: China and Japan. Education and Society, 23(3), 35-54. Li, J. (1997). Taoism and its educational concepts in Ge Hong's Baopuzi (in Chinese). Universitas: AMonthly Review of Philosophy and Culture [ Zhexue yu Wenhua], 24(2), 149-157. Li. J. (1991). Private education and traditional Chinese culture (in Chinese). Educational Research [ Jiaoyu Yanjiu], 143 (12), 70-73. Li, J. (2019, forthcoming). Quest for world-class teacher education? A multiperspectival study on the Chinese model of policy implementation (in Chinese). Beijing: Beijing Normal University Press. Li, J. (2016). Quest for world-class teacher education? A multiperspectival study on the Chinese model of policy implementation. Singapore: Springer, pp. 243. Hayhoe, R., Li, J., Lin, J., & Zha, Q. (2015). Portraits of 21st century Chinese universities: In the move to mass higher education (Chinese version). Nanning: Guangxi Normal University Press, pp. 347. Hayhoe, R., Li, J., Lin, J., & Zha, Q. (2011). Portraits of 21st century Chinese universities: In the move to mass higher education. Dordrecht & HK: Springer/CERC, pp. 483. Li, J. (1998). A history of Chinese thought on education (in Chinese). Shanghai, China: Shanghai People's Press, pp. 461. Li, J. (1997). Transformations and integrations (in Chinese). Hubei, China: Hubei Educational Press, pp. 299. Li, J. (1994). A comparative study of educational theories of the schools of Metaphysics, Confucianism, Buddhism and Taoism (in Chinese). Taipei, Taiwan: Wenjin Press, pp. 512. Bartlett, L., Li, J., Shafiq, N., & Vavrus, F. (2018-20, under preparation), CIES Book Series on Education in Global Perspective. Albany, NY: SUNY Press. Li, J., & Liu, B. C. (2020, under preparation), Bloomsbury education and childhood studies (Vol. China). London: Bloomsbury Academic. Li, J., & Welch, A. (2019, under preparation). The global research assessment movement and the redirection of knowledge production: Rethinking the mission of higher education in a global age. London: Palgrave Macmillan. Oleksiyenko, A., Chirikov, I., Zha, Q., & Li, J. (2018). International status anxiety and higher education: Soviet legacy in China and Russia. Singapore/Hong Kong: Springer/CERC. Li, J. (2015). The Weijin and Northern and Southern Dynasties. In G. J. Li (Ed. ), Dynastic systems of educationofchronicles of China’s education (Vol. 1, 3rd ed., pp. 365-514). Hubei: Hubei Education Publishing. Feng, X. L., Li, J., Bi, C., Cheng, F. P., & Zhang, J. (2015). The Weijin and Northern and Southern Dynasties. In B. Z. Wang (Ed. ), Selections and reviews of education worksofchronicles of China’s education (Vol. 1, Rev ed., pp. 427-608). Hubei: Hubei Education Publishing. Li, J. (2004). The Weijin and Northern and Southern Dynasties. In G. J. Li (Ed. ), Dynastic systems of educationofchronicles of China’s education (Vol. 1, Rev ed., pp. 365-514). Hubei: Hubei Education Publishing. Feng, X. L., Li, J., Bi, C., Cheng, F. P., & Zhang, J. (2004). The Weijin and Northern and Southern Dynasties. In B. Z. Wang (Ed. ), Selections and reviews of education worksofchronicles of China’s education (Vol. 1, 3rd ed., pp. 427-608). Hubei: Hubei Education Publishing. Sun, P. Q, Du, C. X., Li, J., Liu, G. L., Hu, G. Y., & Li, J. P. (2003). The Sui, Tang and Five Dynasties. In X. W. Yang & P. Liu (Eds. ), A compilation of China’s historical documents of examination (Vol. 2, pp. 265-852). Beijing: Higher Education Press. Li, J. (2018). Ideological shift and strategic changes: China’s university partnerships in the process of de-Sovietization. In A. Oleksiyenko, Q. Zha, I. Chirikov, & J. Li (Eds. ), International status anxiety and higher education: Soviet legacy in China and Russia (pp. 103-131). Singapore/Hong Kong: Springer/CERC. Oleksiyenko, A., & Li, J. (2018). Rethinking higher education in the age of global status anxiety for competition. In A. Oleksiyenko, Q. Zha, I. Chirikov, & J. Li (Eds. ), International status anxiety and higher education: Soviet legacy in China and Russia (pp. 1-52). Singapore/Hong Kong: Springer/CERC. Li, J. (2018). Chinese model of higher education. In M. Peters (Eds. ), Encyclopedia of Educational Philosophy and Theory (pp. 1-7). Singapore: Springer. Li, J. (2018). Confucius Institutes and Classrooms as educational partnerships in Africa: The 2030 Agenda of sustainable development from a Confucian perspective. In R. Hayhoe and M. Sivasubramaniam (Eds. ), Religion and education: Comparative and international perspectives (pp. 51-66). Oxford: Symposium Books. Li, J. (2017). The transformation of higher education in East Asia and world university ranking: A comparative study of research assessments in China, Hong Kong and Japan. In M. Ishikawa (Ed. ), World university rankings and the hegemonic restructuring of knowledge: Questioning university assessments and global competition (2 nd Ed., pp. 269-294). Kyoto: Kyoto University Press. Hayhoe, R., & Li, J. (2017). Philosophy and comparative education: What can we learn from East Asia? In K. Mundy, K. Bickmore, R. Hayhoe, C. Manion & R. Read (Eds. ), Comparative and international education: Issues for teachers (2 nd Ed., pp. 29-58). Toronto: Canadian Scholars Press. Li, J. (2016). The transformation of higher education in East Asia and world university ranking: A comparative study of research assessments in China, Hong Kong and Japan. In M. Ishikawa (Ed. ), World university rankings and the hegemonic restructuring of knowledge: Questioning university assessments and global competition (pp. 269-294). Kyoto: Kyoto University Press. Li, J. (2016). Chinese University 3.0 in a global age: History, modernity and future. In P. C. I. Chou & J. Spangler (Eds. ), Chinese education models in a global age: Transforming practice into theory (pp. 15-35). Singapore: Springer. Li, J. (2016). The Chinese model of teacher education: The humanist way for Chinese learners, teachers and schools. In P. C. I. Chou & J. Spangler (Eds. ), Chinese education models in a global age: Transforming practice into theory (pp. 249-264). Singapore: Springer. Li, J. (2014). China’s quest for world-class teachers: A rational model of national teacher education reform. In Q. Gu (Ed. ), The work and lives of teachers in China (pp. 105-122). New York & Oxon: Routledge. Li, J. (2014). Christianity and Education in Asia. In F. Wilfred (Ed. ), The Oxford handbook of Christianity in Asia (pp. 315-326). Oxford, UK: Oxford University Press. Li, J., & Hayhoe, R. (2012). Confucianism and higher education. In J. A. Banks (Ed. ), SAGE encyclopedia of diversity in education (Vol. 1, pp. 443-446). Thousand Oaks, CA: Sage. Hayhoe, R., & Li, J. (2011). Huazhong University of Science and Technology: A microcosm of new China’s higher education. In Hayhoe, R., Li, J., Lin, J., & Zha, Q., Portraits of 21st century Chinese universities: In the move to mass higher education (pp. 307-343). Dordrecht & HK: Springer/CERC. Li, J. (2011). Equity, institutional change and civil society: The student experience in China's move to mass higher education. In Hayhoe, R., Li, J., Lin, J., & Zha, Q., Portraits of 21st century Chinese universities: In the move to mass higher education (pp. 58-93). Dordrecht & HK: Springer/CERC. Li, J., & Lin, J. (2011). Nanjing University: Redeeming the past by academic merit. In Hayhoe, R., Li, J., Lin, J., & Zha, Q., Portraits of 21st century Chinese universities: In the move to mass higher education (pp. 131-161). Dordrecht & HK: Springer/CERC. Li, J., & Lin, J. (2011). Southwest University: An unusual merger and new challenges. In Hayhoe, R., Li, J., Lin, J., & Zha, Q., Portraits of 21st century Chinese universities: In the move to mass higher education (pp. 221-243). Dordrecht & HK: Springer/CERC. Li, J., & Lin, J. (2011). Xi’An International University: Transforming fish into dragons. In Hayhoe, R., Li, J., Lin, J., & Zha, Q., Portraits of 21st century Chinese universities: In the move to mass higher education (pp. 400-421). Dordrecht & HK: Springer/CERC. Lin, J., & Li, J. (2011). Yanbian University: Building a niche through a multicultural identity. In Hayhoe, R., Li, J., Lin, J., & Zha, Q., Portraits of 21st century Chinese universities: In the move to mass higher education (pp. 244-269). Dordrecht & HK: Springer/CERC. Zha, Q., & Li, J. (2011). The University of Science and Technology of China – Can the Caltech Model take root in Chinese soil? In Hayhoe, R., Li, J., Lin, J., & Zha, Q., Portraits of 21st century Chinese universities: In the move to mass higher education (pp. 273-308). Dordrecht & HK: Springer/CERC. Li, J. (2009). Confucianism. In D. Pong (Ed. ), Encyclopedia of modern China (pp. 347-351). Detroit, MI: Charles Scribner's Sons. Li, J. (2009). Education: Policy and administration since 1976. In D. Pong (Ed. ), Encyclopedia of modern China (pp. 495-497). Detroit, MI: Charles Scribner's Sons. Li, J. (2009). Vocational education. In D. Pong (Ed. ), Encyclopedia of modern China (pp. 39-42). Detroit, MI: Charles Scribner's Sons. Sun, D., Lu, J., & Li, J. (2009). New policy actions and government roles: China's reconstruction of TVET systems since the 1980s. In R. Maclean, & D. N. Wilson, International handbook of education for the changing world of work: Bridging academic and vocational learning (pp. 977-987). Dordrecht: Springer. Li, J., & Lin, J. (2008). China’s move to mass higher education: A policy analysis of policy making from a rational framework. In D. P. Baker, & A. W. Wiseman (Eds. ), International perspectives on education and society: The worldwide transformation of higher education (pp. 269-295). Bingley: Emerald Publishing. Wang, C., Tian, X. H., & Li, J. (2019, forthcoming). Education policy in the One Belt and One Road. In A. C. Cheung & F. S. Kong (Eds. ), Education and One Belt and One Road. Hong Kong: The Commercial Press. Li, J. (2017). Chinese University 3.0 in a global age: History, modernity and future (Chinese version). Collected and reprinted by Xinhua Digest, 5, 681-694. Li, J. (2016). Chinese University 3.0 in a global age: History, modernity and future (Chinese version). Tsinghua Journal of Education, 37(4), 24-35. Li, J. (2016). Universities at risk: The global ranking and research assessments (in Chinese). Collected and reprinted by Xinhua Digest, 21, 119-120. Li, J. (2016, Aug. 23). Universities at risk: The global ranking and research assessments (in Chinese). Guangming Daily, 24311, 13. Li, J. (2016, Jan. 7). China’s Education 3.0: History, modernity and future (in Chinese). Chinese Social Sciences Today, 882, 4. Li, J. (2015, Aug. 28). The question is: Are our schools soft enough?China Daily ( European Weekly), 10. Li, J. (2015, Apr. 29). The first decade of Confucius Institutes: Experiences, challenges and prospects (in Chinese). Chinese Social Sciences Today. A07. Li, J. (2014, Aug. 6). Hong Kong Universities: Advantages and Challenges (in Chinese). Chinese Social Sciences Today. 630, B02. Li, J. (2014, Jun.). World-class teacher education for the Post-2015 Agenda? Critical reflections on the Shanghai Miracle. Norrag News, 50, 90-91. Li, J. (2013, Oct.). The Post-2015 Agenda for educational development: Reflections on China’s experiences of international cooperation for Millennium Development Goals (MDGs). Norrag News, 49, 21-22. Li, J., & Hayhoe, R. (2013, Apr. 18). The Construction of Chinese University 3.0 (in Chinese). Social Sciences Weekly. 1358, 5. Li, J. (2013, Feb. 7). An examination of the Chinese model of teacher education (in Chinese). Social Sciences Weekly. 1349, 5. Hayhoe, R., & Li, J. (2012). Institutional diversity in Chinese higher education. International Higher Education, 66, Winter, 22-24. Hayhoe, R., & Li, J. (2011). China: World-class universities in a diverse system. University World News, 202. Li, J. (2010). Reflections on the frameworks of citizenship education studies: Exploring an indigenous Confucian model (in Chinese). Moral Education China, 5 (12), 26-33. Hayhoe, R., & Li, J. (2009). Historical comparison of international teacher education development (Chinese version). Collected in Xinhua Digest, 21, 120-125. Li, J. (2004). Issues of civic education in Japan’s schools. Educational Research and Development, 9 (4), 17-26. Li, J. (2000). A comparative empirical study on school citizenship education in Japan and China (in Japanese). Bulletin of the Graduate School of Education of Tokyo University, 40, 117-130. Li, J. (2017). Teacher management in China: The transformation of educational systems By Eva Huang, John Benson & Ying Zhu. Frontiers of Education in China. 12(1), 122-125. Li, J. (2015). China’s aid and soft power in Africa: The case of education and training by Kenneth King. Comparative Education Review. 59 (3), 561-564. Li, J. (2013). The Jixia Academy and the birth of higher learning in China: A comparison of fourth-century B.C. Chinese education with ancient Greece by Richard Harnett, Comparative Education Review, 57 (1), 175-177. Li, J. (2013). Citizenship and citizenship education in a global age by Wing-Wah Law. Asia Pacific Journal of Education. 33(1), 127-129. Li, J. (2011). Asian perspectives on teacher education edited by Shin'ichi Suzuki and Edward R. Howe. Comparative Education Review, 55 (1), 149-151. Li, J. (2005). Full circle: A life with Hong Kong and China by Ruth Hayhoe, Comparative Education Review, 49 (3), pp. 418-420. Member, the Standing Review Board of Humanities and Social Sciences Panel, the Research Grants Council (RGC) of Hong Kong, China, since 2019. Reviewer, the Social Sciences and Humanities Research Council of Canada (SSHRCC), since 2018. Member, the CIES Planning Committee, the US, 2018-19. Member, the WCCES Research Standing Committee, the UNESCO, 2017-19. Member, the CIES Publications Committee, the US, 2016-17. Chairman, the Hong Kong Educational Research Association (HKERA), Hong Kong, 2014-17. President, the Comparative Education Society of Hong Kong (CESHK), Hong Kong, 2012-14. Honorary Secretary and Executive Committee Member, CESHK, Hong Kong, 2011-12. Member, the Chinese Society of Comparative Education (CSCE), China, since 2010. Member, the WCCES, the UNESCO, since 2007. Member, the American Education Research Association (AERA), the US, 2004-05. Member, the Comparative and International Education Society (CIES), the US, since 2002. Member, the Japan Society of Educational Sociology, Tokyo, Japan, 1997-99. Member, the Japan Society of International Education, Tokyo, Japan, 1997-99. Co-director, the Junior Scholars Sub-Society of the China’s Education Society, Beijing, China, 1997-99. Associate Founding Editor, Beijing International Review of Education (Brill), 2019-21. Co-Founding Editor, CIES Book Series Education in Global Perspective (SUNY Press), 2018-20. Advisory Board, Comparative Education Review, 2018-Present. Editorial Committee, Global Comparative Education: Journal of the WCCES, 2017-Present. Regional Editor (China), Bloomsbury Education and Childhood Studies, 2017-20. Associate Editor, Education and Teaching Research, 2017-Present. Editorial Board Member, Chinese Education & Society, Routledge, 2016-Present. Editorial Board Member, The Education Journal, Hong Kong, 2016-Present. Associate Editor, The Education Journal, Hong Kong, 2012-15. Editor-in-Chief, The International Journal of Comparative Education and Development (formerly as Comparative Education Bulletin), Hong Kong, 2013-14. Editor-in-Chief, Comparative Education Bulletin, 2012-13.
International Editorial Board, Paedagogica Historica ( International Journal of the History of Education), Gent, Belgium, 1998-2008.